Pumpkin and carrots go great together. They both have a vegetal sweetness and meld nicely in both sweet and savory dishes. Grilling draws out their natural sugars and they develop a complex flavor. The two alone are outstanding but adding nutty quinoa to the mix makes a very filling plate that you’ll want to eat again and again. 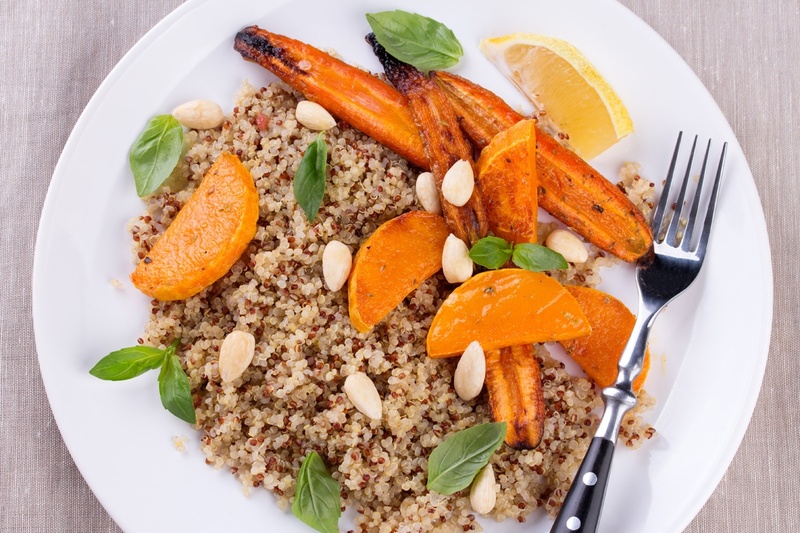 Lightly drizzle the carrots and pumpkin with olive oil. Sprinkle both sides with salt and black pepper. Lightly brush the grates of your grill or a grill pan with olive oil to prevent sticking. Grill carrots and pumpkin for about 7 minutes per side or until tender with nice grill marks. Bring the chicken or vegetable broth to a boil over medium-high heat. Add some salt and black pepper. Cover and cook for 12-15 minutes or until tender and all the liquid is absorbed. Remove from the heat and leave covered for a few minutes. Uncover and fluff with a fork. Leave to cool. Combine the lemon juice with 2-3 tablespoons of olive oil in a small bowl. Whisk and season with a bit of salt. Pour the dressing over the quinoa and toss to coat. Transfer to a serving platter or individual serving plates. Top with grilled carrots and pumpkin. Finish with pumpkin seeds and garnish with basil. 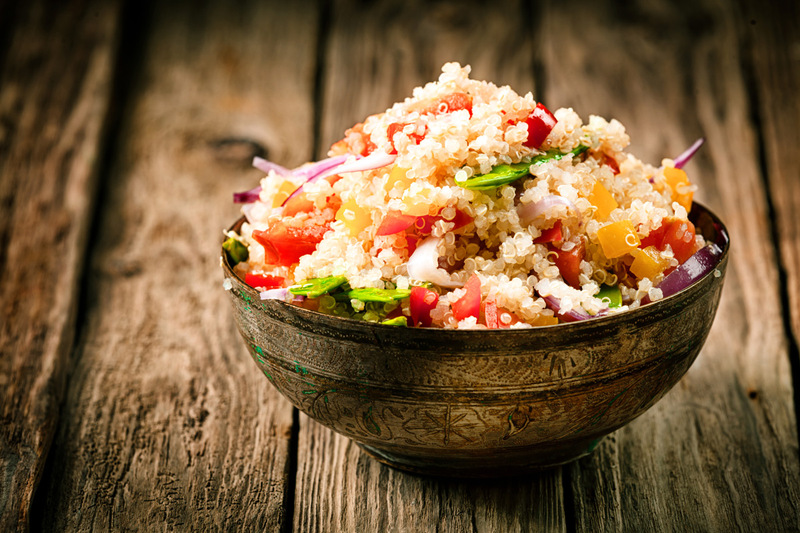 Learn more about preparing grains of quinoa.